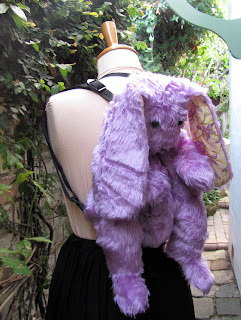 using an old Butterick pattern that I've used several times before. Here they are - all finished. A mauve bunny for my granddaughter, the brown puppy for my grandson and the bunny with his eyes placed rather too high and startled looking ... well that one is mine! 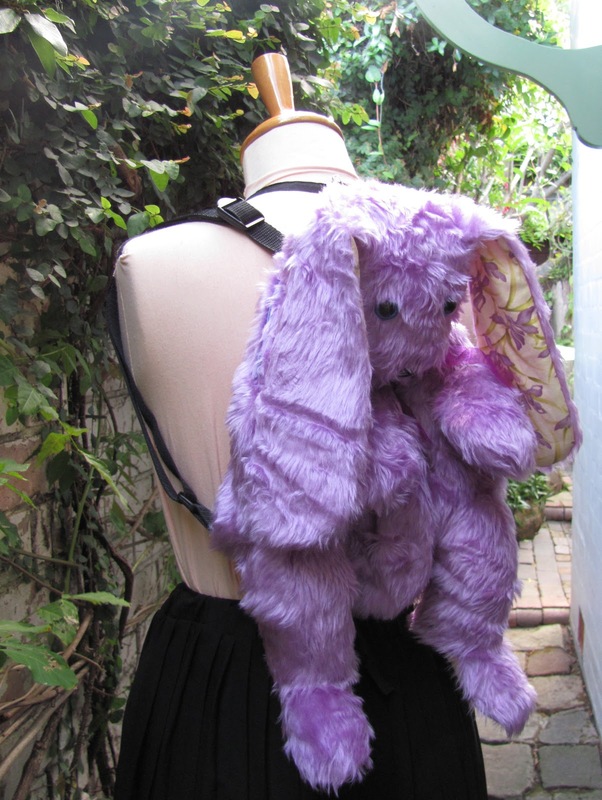 Here is a bunny in situ on my mannequin - they slump when there is nothing in their tummies. They are working back-packs - the zip to access the 'bag' is behind their heads. 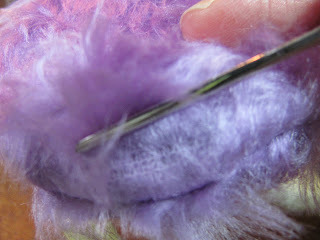 Take care with your cutting out - work with the 'nap', the lay the fur lies (down the length of the fur fabric). 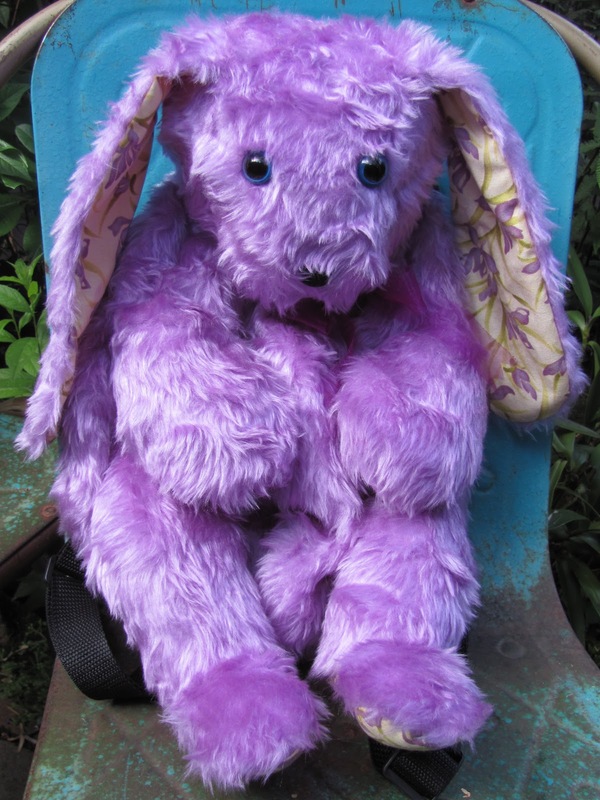 Lay out the pattern pieces so that the fur will brush down the body, limbs and ears of a toy. 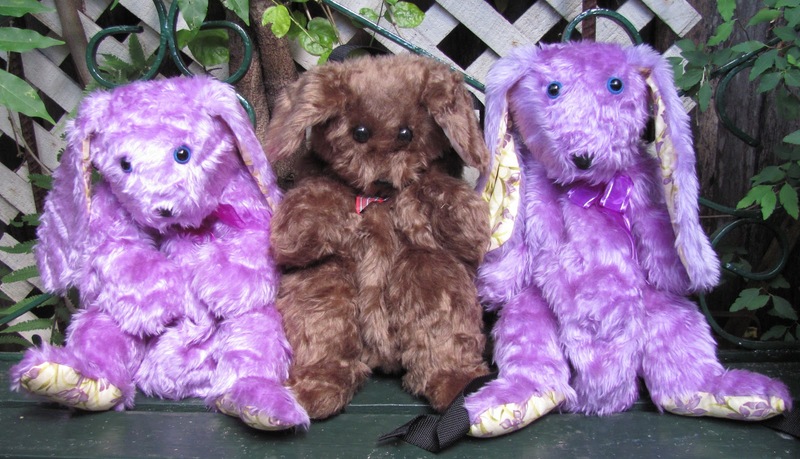 Often the fur lies going away from the nose of a toy - but I decided to make these animals with the fur on their faces going the other way. 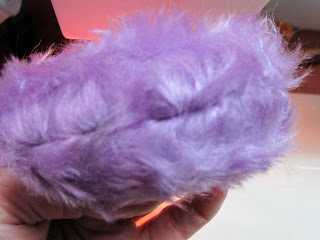 This is cheap fake fur and the backing is a very loose 'weave' that I thought would look rather ugly if it showed around their noses. 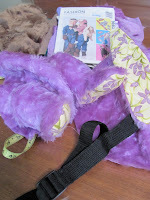 Always think about the direction of the fur when laying out the pattern pieces. 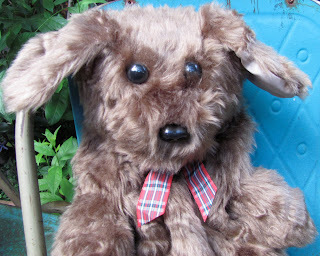 All that is very important but for this tute I thought I would concentrate on another aspect of working with fur. Because sewn furry things (toys, collars, whatever ...) always look better if the seams are not made too obvious by being either 'bald' or having the fur caught in the seam. 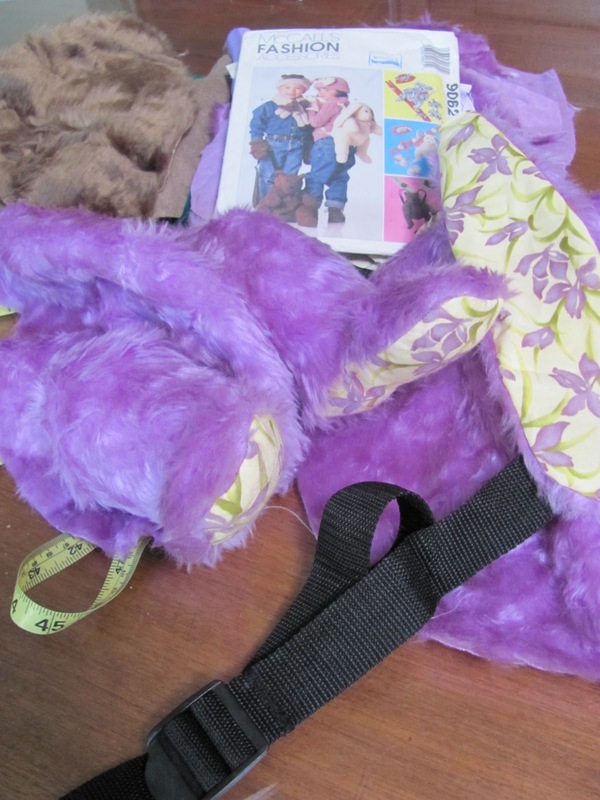 Firstly - be careful when cutting out fur fabric to cut the backing fabric but not the fur. 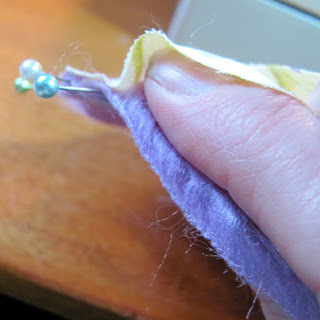 Slide the blade of your scissors along the fabric, lifting the furriness. If you look closely at this photo - the lower, horizontal edge looks furry (the fabric was cut but not the fur) whereas the vertical edge looks blunt because the furriness was cut along with the fabric. However, if you take the time (and it is fiddly work) to pluck the fur out of the seams, you can get that seam to look like this - practically invisible! 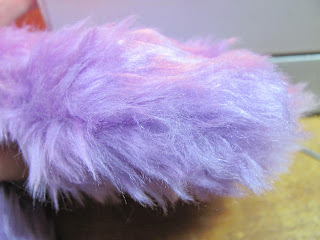 I like to use something blunt so I don't cut the fur or hurt my fingers! 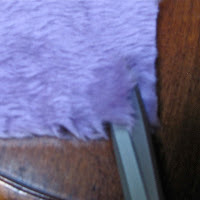 Be careful not to pull out the threads of the backing fabric, especially if it is a loose weave like this. Two things that will help with this fiddly job - use a longer stitch length than usual, but not so long that your work gathers. And - when pinning the pieces together, sometimes you can persuade most of the furriness to lie inwards like this. You might need to use more pins than normal to help the fur to stay there. 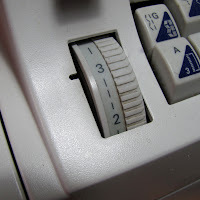 I hope these hints are helpful.